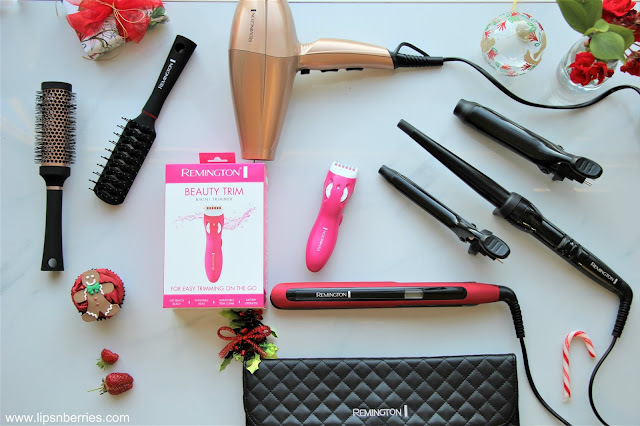 3/5 Christmas Gift Guide- The Best of Remington's Personal Gadgets | LIPS n BERRIES! For day 3/5 of Christmas Gift guide, I'm talking about my personal favorite gadgets. Gadgets are always my preferred category of gifts because they last so much longer than skincare and makeup. Years n years! I always think of the person that gifted me something when I'm using the appliance/product. Isn't it an amazing feeling to be remembered every-time a person uses their straightener or hair dryer? Last Christmas, me and husband gifted each other the gadgets we really needed. His Grooming kit was long due so I got him a Wahl set from Shavers Shop. He got me a Waterpik Water Flosser, which I've used every night since that day. It's been my best gift till date. You can check them out in last year's gift guide (Click here). I'd highly recommend checking out the Shavers Shop stores in Auckland and online. They do some pretty sweet deals and are very competitively priced. I found them to be the cheapest in NZ for the two above mentioned products. 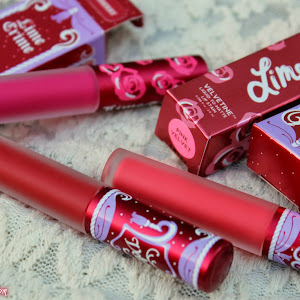 This Christmas, I have a list of my favorite beauty gadgets. All of them from Remington. It's my favorite and most trusted brand. Their products last so long. I've never had any that's broken on me or gone faulty. 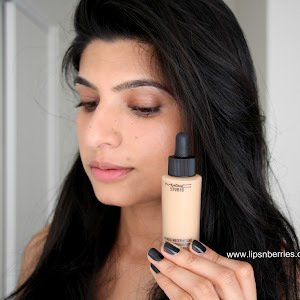 I've reviewed a lot of their products on the blog too. All the products listed below are available from Harvey Norman and other electronic retailers NZ wide. The price differences between stores are huge, so I highly recommend doing your research online before you go buy them. For instance, the Remington Curler is available for $65 on Harvey Norman today as part of a 1 day deal (Dec 6, 2017) and the same set on Farmers NZ website is for $130 NZD. How insane is that? Just look at this! I mean look at this beauty. 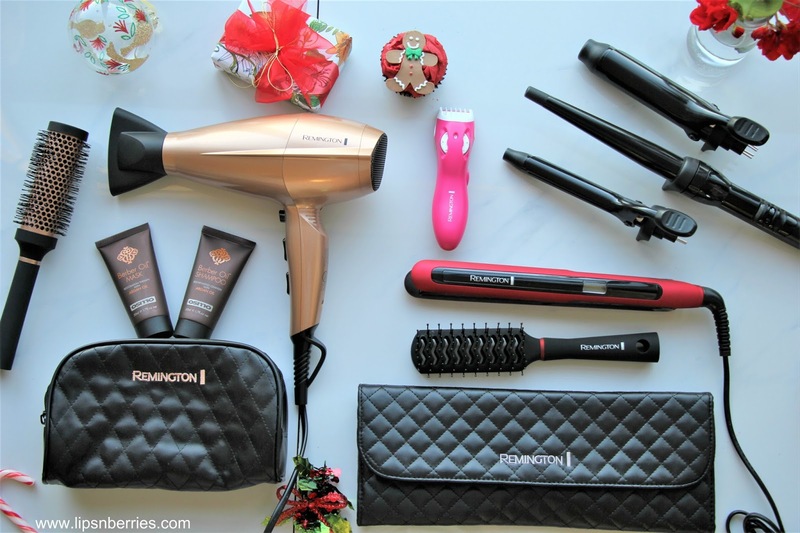 This is a special Christmas edition Straightener set from Remington. The matte red and black is just so gorgeous. Radiance Ionic straightener releases millions of negative ions, which allow you to create sleek frizz-free styles in minutes. The max temperature setting is 230 degrees and it even remembers the last setting you used on it. The heating time is only 15 seconds so you'll be on your way pretty quick with this one. The set comes with a gorgeous sturdy comb and a PU leather pouch to carry it out elegantly. The inside of clutch has a heat resistant layer. Perfect gift! I've reviewed this dryer on the blog so you can click on the link (here) to read more about it. This is only the second hair dryer of my life because my old Remington one still refuses to break down. Hence, I consider these Remington hair dryers as more of an investment. 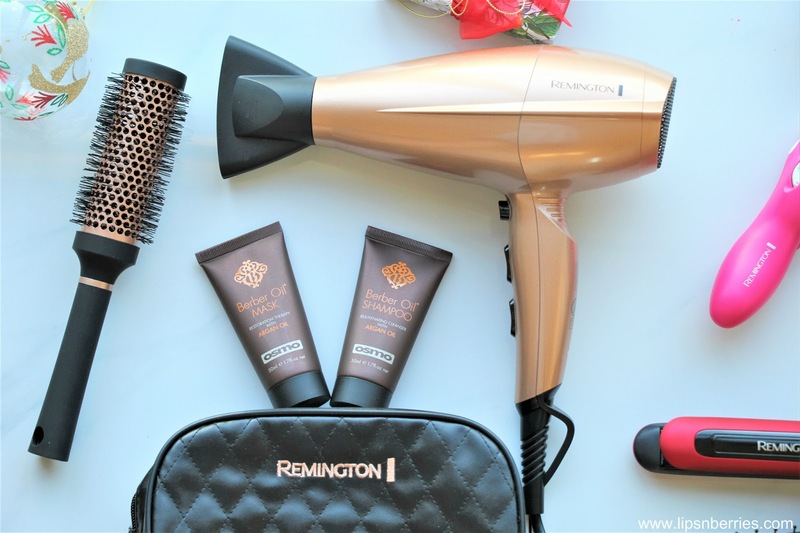 This Shine Revival hair dryer is infused with Keratin & Argan Oil, thus it minimizes hair damage & styles them while nourishing with the conditioning oils. The end result is less damaged and frizz free hair. The hair set comes with a roller brush, Berber Oil Shampoo & Deep Conditioning Mask and a handy storage pouch. An all-in-one set, best for gifting. 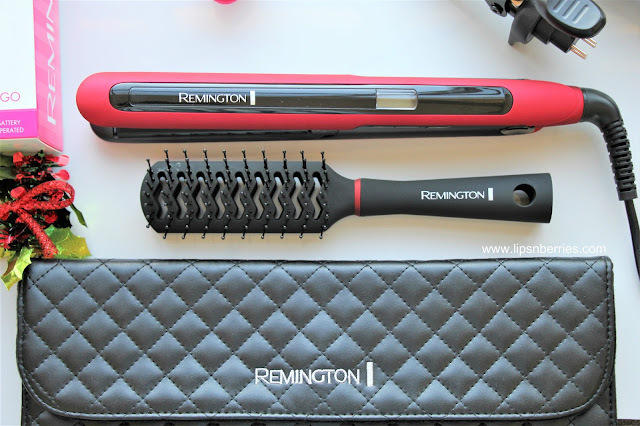 Ask me about my absolute favorite product from Remington and watch my eyes glow because this hair curler truly changed the way I do my hair. I've given it an All Stars review last year and I'm still as smitten. I own a fancy (+ very expensive) Babyliss hair curler that I got shipped from the US and I can confirm that in my 5 years of having it, I've used it only once. Like seriously once! It was big and bulky and just too hard. With the amount of time I have left after I do my makeup, I can't deal with that kind of down buzz. Remington's Curl Collective is a dream for me. 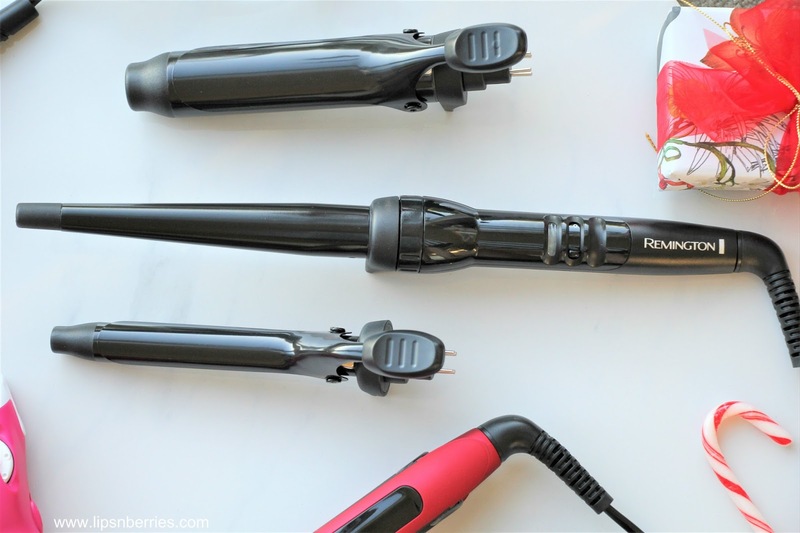 It heats up in seconds, creates flawless curls, comes in 3 wand sizes, is super light weight and is all in all awesome. I'd highly recommend buying this as gift for your best lady or yourself. You can check out its full review here. Are you annoyed with your gf/partner/wife/sister stealing your grooming set for her own trims? I know my husband is. He has a cleanliness OCD so every-time I use his, I have to thoroughly clean it with boiling water and all that. I'm so relieved that Remington has a Bikini trimmer for us ladies and its Pink. Ok there's a purple one available too. But its feminine!! 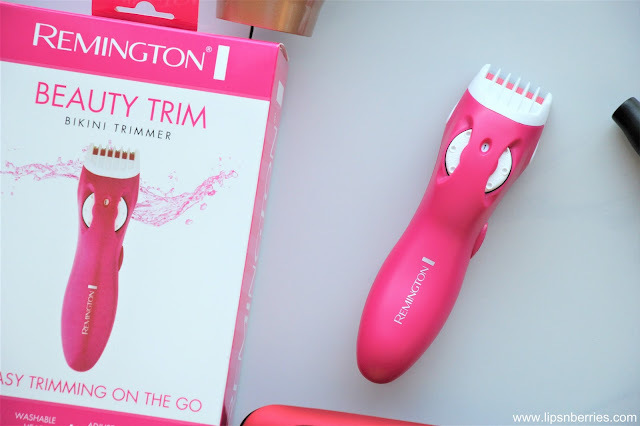 It has 5 trim length settings (3-12 mm) which is pretty cool if you are very particular about your hair length down there. The trimmer works very smooth. It is quite easy to hold and navigate as its sleek and lightweight. The trimmer is battery operated and takes 2 x AAA batteries so there are no cords/wires to fluff with. Just chuck in some rechargeable batteries and voila! The head is detachable so it can be rinsed under water. Consider this as my review of it. I love it! 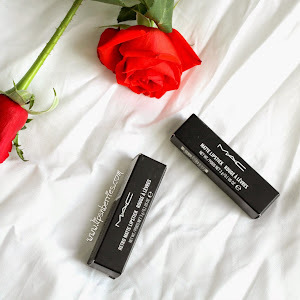 Here's my sweet list for Day 3/5 of Christmas gift guide. 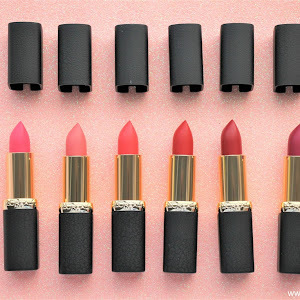 My absolute favorite beauty gadgets. Do you own any of these? Do you feel like owning any of these? Which one? Talk to me in the comments below. Disclaimer: Products sent by brand for consideration. My review is honest as always.